Celestial Navigation has been used throughout many centuries by various different cultures around the world. With accurate observations and often the use of a ‘Nautical Almanac’ it is a reliable method of navigation in the open ocean. Sextant: The sextant is a precision instrument for celestial navigation that has stood the test of time. The main function of a sextant is to measure the angle of a heavenly body above the horizon. The basic procedure of using a sextant is to set the reading on zero then identify the heavenly body (sun, star or moon) through the telescope (it will appear on the mirror). Then slowly lower the sextant, moving the index arm at the same time keeping the star in sight of the mirror until the horizon appears in the clear part of the glass. The reading is taken when the image of the star is just touching the horizon. Te Kapehu Whetu: The Maori star compass- divides the 360 degrees around the canoe in the open ocean into different whare (houses). The location of these houses depends on where the sun, moon, and stars set and rise. The Navigator then keeps the canoe on a course relative to these observations. 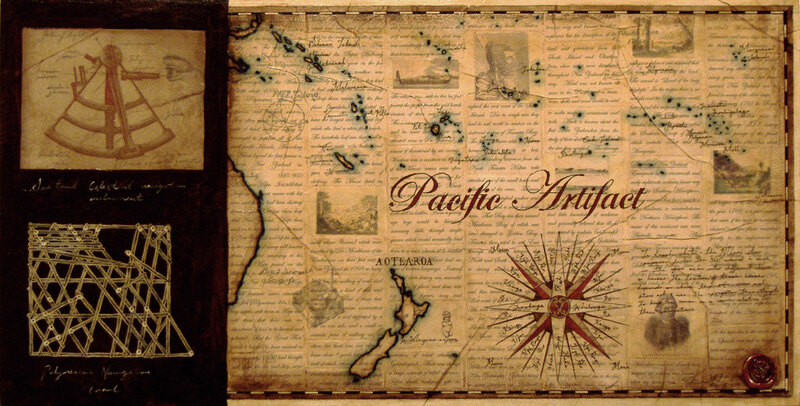 Pacific Navigation Chart: These are made by tying sticks together and attaching tiny shells to represent islands. The curved or diagonal sticks represented swell and wave patterns. These ancient navigation aids were once vital for island hoping. They weren’t however carried on board; they would be committed to memory by young navigators.